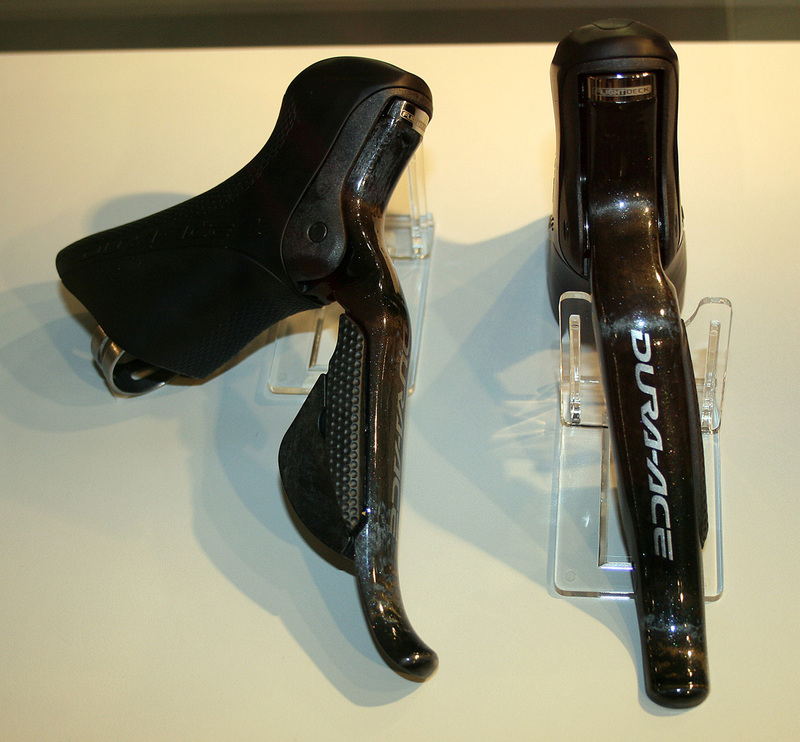 Shimano Electronic Dura Ace has been officially launched with its new name SEIS. Rather than EDA as it was initially called or Di2 as it later become, Shimano have decided to christen their newest innovation SEIS (Shimano Electronic Intelligence System). 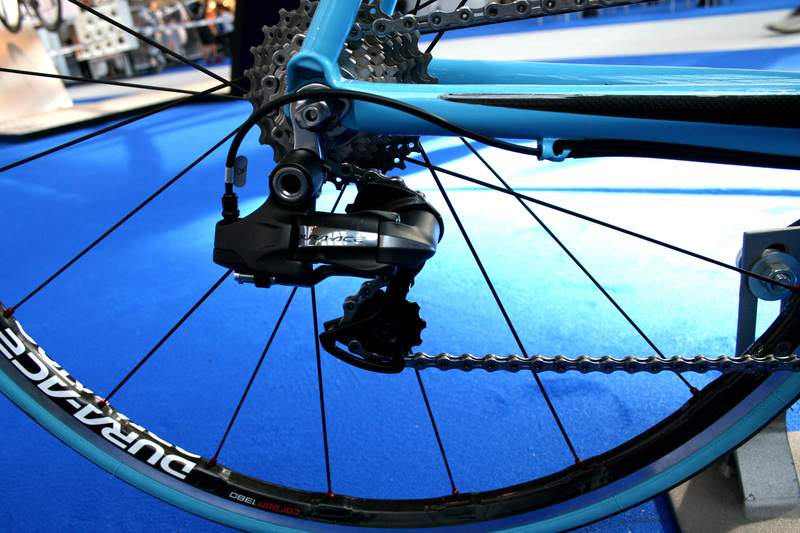 Older readers may remember when Shimano first introduced their indexed gear shifting, this was called SIS (Shimano Index System) so SEIS is a natural evolution of that. 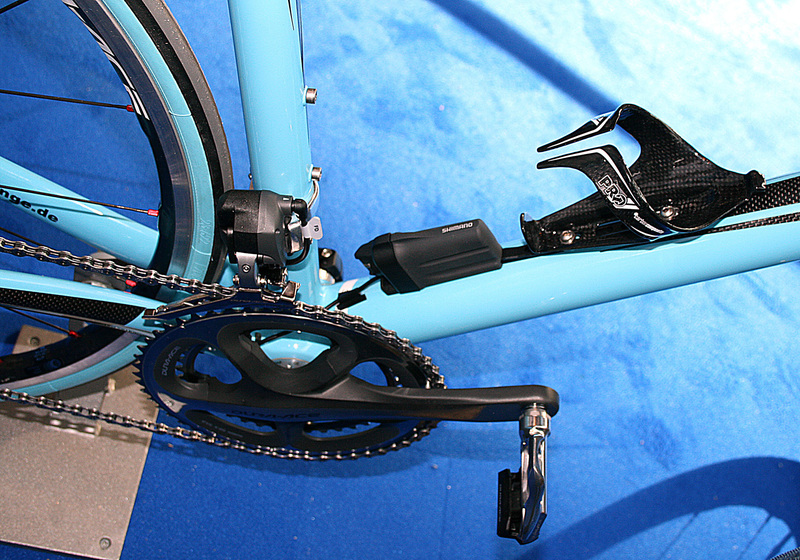 As well as the electronic shifting, SEIS also comes with an integrated Heart Rate Monitor. 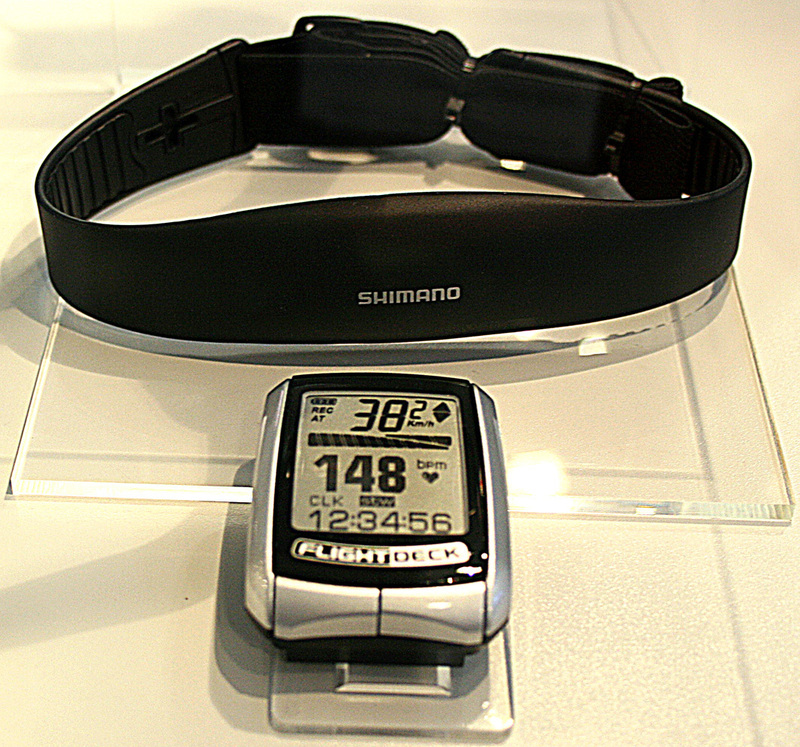 New Flightdeck with heart rate function. 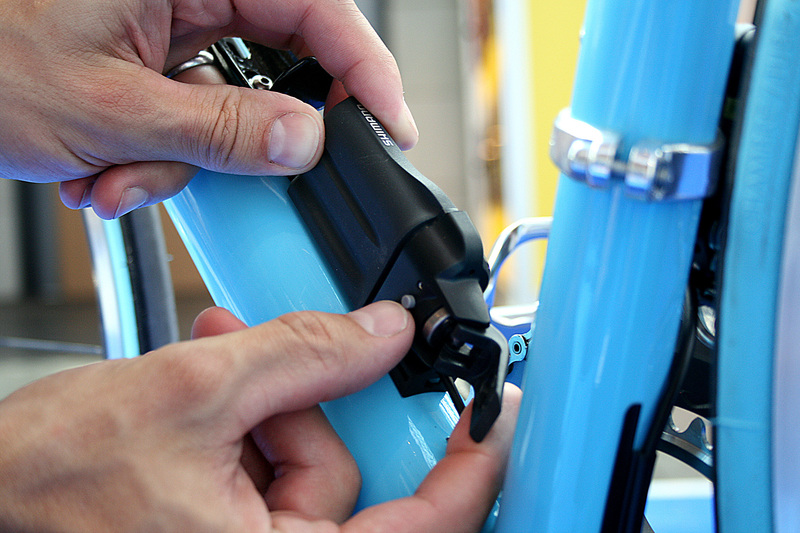 Interesting stick-on cable housing to protect and route the electric cable down the down tube and other exposed areas. 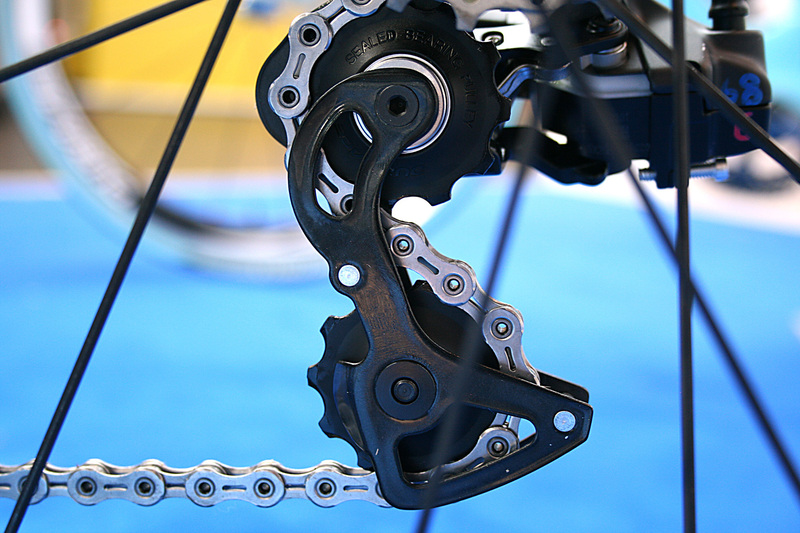 The rear mech pulley cages show that much attention has been made to keeping the weight as low as possible. The battery pack is much smaller than previous prototypes and is very easy to remove as well as being securely held in place on the down tube.